The list is endless when it comes to how important Smart devices are in our daily lives . We rely on them totally and most times, don’t do much without them. Adding to the list of smart devices is something you can’t leave your home without, Volterman smart-wallet developed by Volterman. 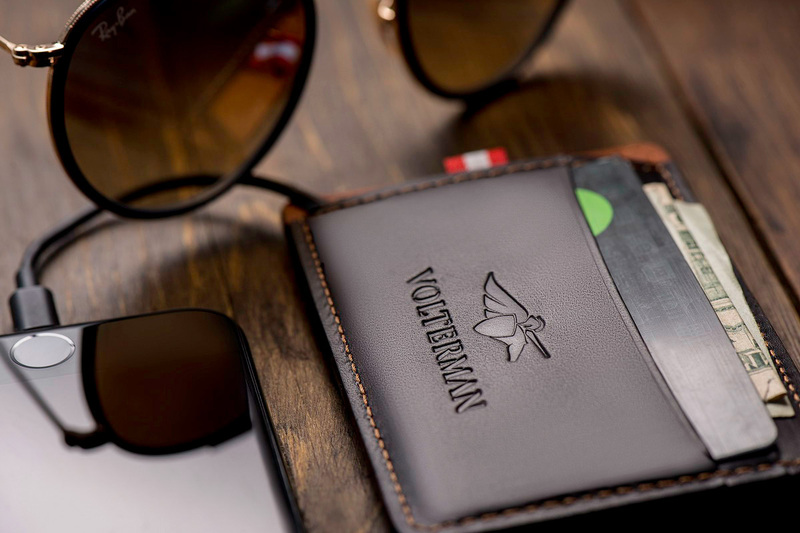 Volterman smart-wallet is a popular crowdfunded project at indiegogo thanks to the 5 life saving features you wouldn’t be expecting in a wallet. 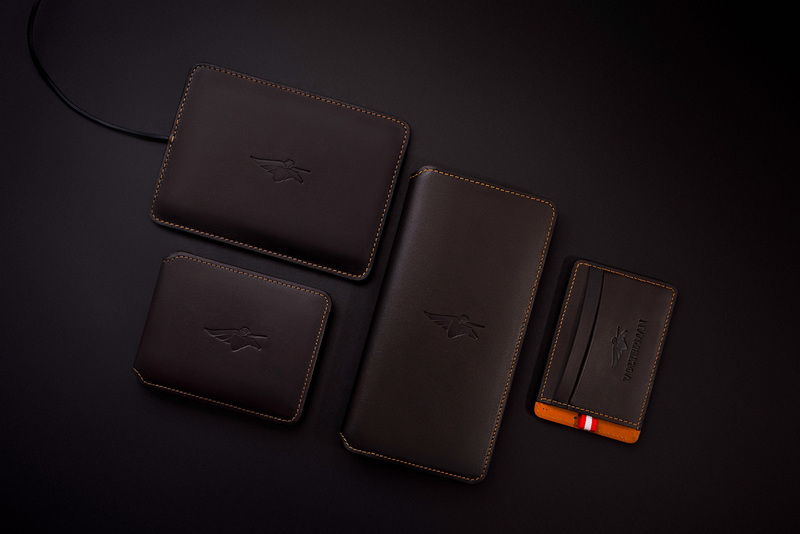 The smart-wallet is waterproof, made of Brown high-quality French leather designed in three variants, cardholder, Bi-fold and Travel-sizes, that matches perfectly for any lifestyle. The Cardholder(10x7cm), Bi-fold(12x9cm) and Travel size(19x9cm) weighs 100g, 120g and 150g respectively. About 4.77 billion smartphone users have experienced that dreaded ‘low battery alert’ that keeps you on your toes till your plug in. There is this sudden panic and restlessness when your phone run into low battery stages. You either stalk your friend who may not give it out the precious power bank, or literally order something in a café, just to have the right excuse to plug in your phone. 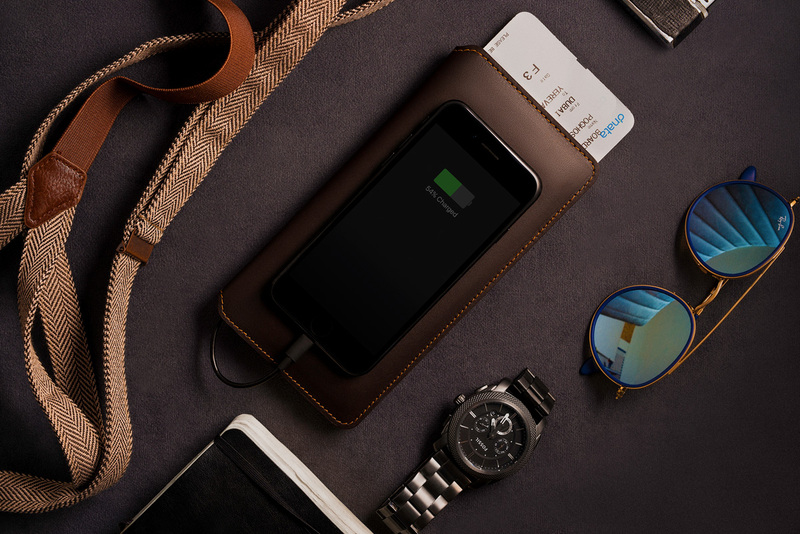 Volterman Smart-wallet saves your from that, it has an in-built power bank with battery capacity more than 2,700mAh, which charges phones to 100% by both wired method and wireless method. For wireless charging, just place your phone on the Volterman logo. 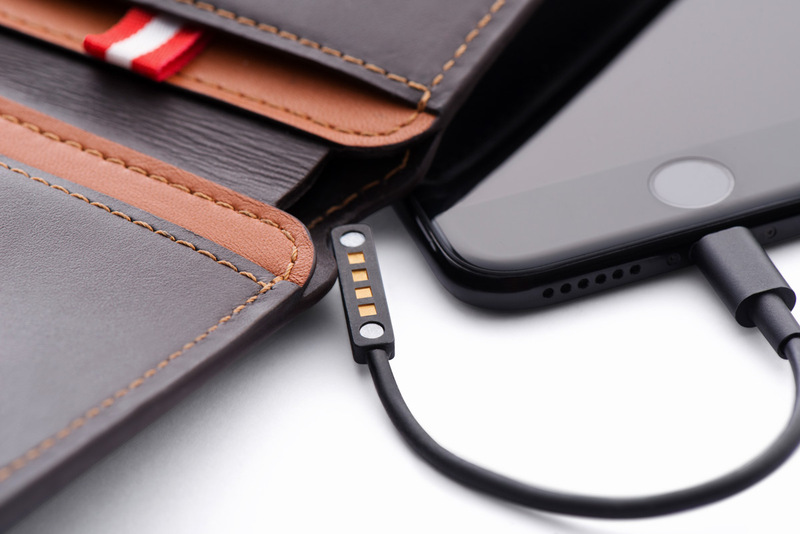 Recharging the wallet’s battery can be done in both ways too. Missing Phone – Believed to be one of the world worst nightmares, with shock deeper than that of electricity. About 58% of men and 47% of women suffer from Nomophobia — the fear of being without a mobile device, this is because, the role smart devices play in our lives becomes more vital the smarter they get. Stylish Volterman smart-wallet can be paired via Bluetooth 4.0 with your phone to serve that great purpose, it alerts you of your phone you left behind and also your phone can alert of the wallet each time you leave it behind, no more missing phone or wallet. It’s RFID protection keeps you safe from RFID skimming – a kind of card details stealing using radio frequency. With Global GPS tracking that is free of charge and an optional in-built tiny camera which captures the face of anyone who opens the wallet when in lost mode, catching a thief who made away with a Volterman smart-wallet is as easy. The most populated place in the whole world is the Internet, believe it or not. 3 billion people visit the Internet according to the United Nations agency that oversees international communications, it’s not only because of what you gain staying connected, but because of what you get to lose for staying offline even for a day. You may not be faced down using your phone always but GPS navigation, movie streaming and online purchase piles up the usage. Volterman smart wallet keeps you connected with 3G enabled Global Wi-Fi hotspot to keep you connected to the Internet anywhere in the world, interestingly, it three times cheaper than the regular data roaming. All of these features stuffed comfortably in a pocket friendly wallet makes it any price worthy, but as kind as Volterman can be, you get the full variants of the Volterman Smart-wallet for $385.